WALTHAM, Mass. – (February 6, 2019) – Thermo Fisher Scientific, the world leader in serving science, today announced that several of its analytical instruments have received multiple prestigious industry awards. These award-winning tools provide scientists across a range of fields and disciplines with the ability to conduct comprehensive proteome profiling and quantitation, biomarker discovery and verification, and the full characterization of complex biotherapeutics. "We invest in innovation to serve our customers and science as a whole, and this recognition validates the effort put forward by our product development teams," said Alan Sachs, chief scientific officer, Thermo Fisher Scientific. "The winning technologies play important roles in scientific research and we’re honored to receive these prestigious awards." The Thermo Scientific Q Exactive HF-X Hybrid Quadrupole-Orbitrap mass spectrometer was named to R&D Magazine’s 2018 list of top 100 technology innovations. Known as the "Oscars of Innovation," the R&D 100 awards recognize the best new products across industry, academia and government-sponsored research. The Q Exactive HF-X Hybrid Quadrupole-Orbitrap mass spectrometer is a versatile platform for disease research and drug discovery, setting new protein identification standards in sensitivity, performance and productivity of for any workflow, accelerating insights from discovery to verification. 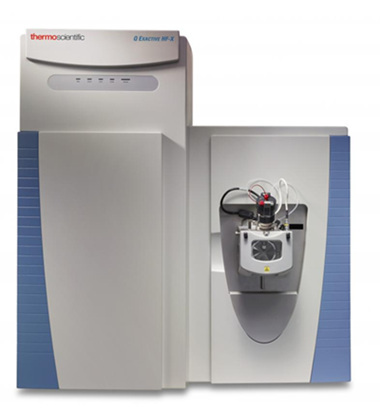 The Thermo Scientific Orbitrap ID-X Tribrid mass spectrometer, Thermo Scientific Q Exactive UHMR Hybrid Quadrupole-Orbitrap mass spectrometer, Thermo Scientific FAIMS Pro interface, Thermo Scientific Compound Discoverer 3.0 software, and Thermo Scientific Phenom Pharos desktop scanning electron microscope were named to The Analytical Scientist’s Top 15 Innovations of 2018. These awards recognize the most significant instrument innovations within the field of analytical chemistry and highlight the potential of these solutions to transform small molecule characterization and analysis, expand our understanding of proteins, boost proteomics workflows, and provide fast, easy access to high resolution images to a broader base of researchers, respectively. The Orbitrap ID-X Tribrid mass spectrometer and Q Exactive UHMR Hybrid Quadrupole-Orbitrap mass spectrometer also were included in The Medicine Maker’s Top Innovations of 2018, which highlights the most groundbreaking drug development and manufacturing technologies released into the market over the course of the year. Overcoming the challenge of interpreting mass spectra of unknowns in pharma/biopharma applications and the technological limitations of native mass spectrometry that impacted its adoption, the Orbitrap ID-X Tribrid and Q Exactive UHMR Hybrid Quadrupole-Orbitrap mass spectrometers can accelerate the characterization of small molecules and enhance our understanding of proteins, facilitating the development and manufacture of novel therapeutics for the treatment of acute and chronic disease. The Q Exactive UHMR Hybrid Quadrupole-Orbitrap mass spectrometer was also recently voted the winner of SelectScience’s Scientists’ Choice Award for Best New Drug Discovery & Development Product of the Year. The award recognizes the product that has made the most difference to drug discovery and development research as nominated by scientists in the drug discovery and development community. Thermo Fisher Scientific Inc. is the world leader in serving science, with revenues of more than $20 billion and approximately 70,000 employees globally. Our mission is to enable our customers to make the world healthier, cleaner and safer. We help our customers accelerate life sciences research, solve complex analytical challenges, improve patient diagnostics, deliver medicines to market and increase laboratory productivity. Through our premier brands – Thermo Scientific, Applied Biosystems, Invitrogen, Fisher Scientific and Unity Lab Services – we offer an unmatched combination of innovative technologies, purchasing convenience and comprehensive services. For more information, please visitwww.thermofisher.com.